Coach Pullela Gopichand said, he is hopeful that shuttler PV Sindhu's silver medal will turn into a gold after the next game. "Sindhu has done very well consistently to get to the finals. I hope we have a good match tomorrow," he added, "Sindhu is one of the peoples with power and speed who can pull this off." Sindhu on Monday scripted history as she became the first Indian to cement her spot in the final of the Women's Singles Event at the Asian Games. In a hard fought battle, the 23-year-old defeated her Japanese opponent, Akane Yamaguchi 21-17, 15-21, 21-10 in the semi-final clash, which lasted one hour six minutes. While talking about Sindhu's upcoming match and strategy, Gopichand said that she will rely on her strength and retrieving ability. "It will be an interesting game," the coach said. 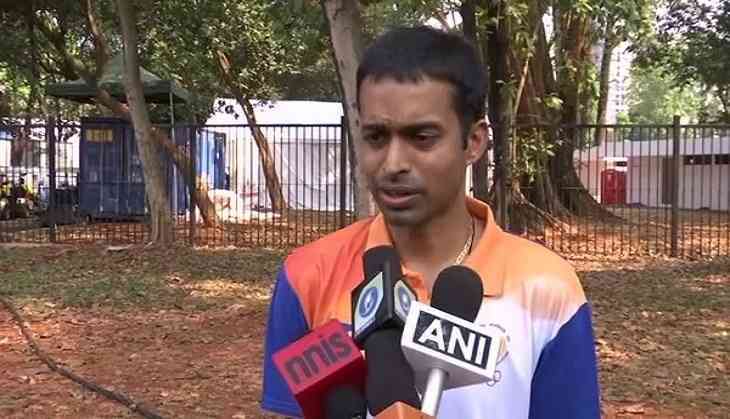 Gopichand further said that he was happy for Saina Nehwal, who secured a bronze medal at the Asian Games. "Saina played well. Nothing to be disappointed about. The bronze which she has won has come after several years, with a lot of hard work. I am very proud of the way she fought," he said. Saina Nehwal on Monday bagged a bronze medal in Badminton Women's Singles as she lost to Chinese Taipei player Tai Tzu Ying in the semi-final of the event. As of now, India's total medal tally at the prestigious tournament now stands at 41--eight gold, thirteen silver and twenty bronze.